As a follow-up to the post about the release of CC 2015 support, here’s some important information on making sure your CC 2014 installation does not affect CC 2015. If you are using Windows, you should use the standard Windows uninstaller to remove any existing CC 2014 installation of In-Tools plugins before installing using the new installers. This ensures that menus will only appear in CC 2014 and not CC 2015. After CC 2014 plugins are removed, you can then install in CC 2014 or CC 2015. If you are a Mac user, we built an AppleScript to fix existing CC 2014 installations. This will work either in tandem or independently from the new installers. You can download the AppleScript here. We also get regular requests for uninstalling our Plugins. We created an AppleScript for Mac uninstall as well. The uninstaller might remove more than you want. After running the uninstaller script, you should re-run an installers for plugins that you need. The uninstaller script can be downloaded here. We’re happy to announce that we have updated all our plugins for CC 2015. After considering our options for licensing of updates, we have decided to keep our licensing model as it has been until now. Updates for future versions of InDesign will require upgrade licenses as they have in the past. We have a number of reasons of doing so. Probably the biggest reason is that restructuring our licensing would be a lot of work and very little actual gain for either us or our users. The subscription model is becoming more popular today, but the license-and-upgrade model keeps customers in control as to whether they need to upgrade or not, and the older version remains functional indefinitely. Upgrades are half-price as they have been to date. As we did for CC 2014, we are offering free upgrades to CC 2015 to anyone who purchased a plugin for CC after the release of CC 2015 on Jun 15, 2015. If you qualify, please send us a support request including the details of your purchase. Please note, that this update includes some important bug fixes for Power Headers and Style Utilities. All CC installers have these updates and we encourage all users to update. We hope to update the pre-CC installers some time next week. Right about the time that CC 2015 was released, it was discovered that there was no official way to create a single Extension and pick whether to install it into CC 2014 or CC 2015. This caused a huge technical challenge for developers who need to support multiple versions and allow installation on one, the other, or both. Multiple requests from developer support resulted in no useful response. I was deeply disappointed by the developer support that we got from Adobe as was many other developers that I know. This problem was so bad that I was not sure it was going to be possible to create updates for CC 2015 at all. Luckily, I discovered a “back door” approach to pick whether the extensions were installed in CC 2014 or CC 2015. Interestingly enough, it turns out that this is the approach Adobe is using internally to install their own extensions but they did not deem third party developers worthy enough to document this approach for us or even tell us this was possible when we explicitly asked. Suffice it to say that Adobe’s developer support is very broken right now. I hope it gets fixed. The second issue was actually that InDesign was not ready when it was originally released. There was a bug which caused InDesign to crash when our plugins were added. This bug has been fixed, and you should make sure InDesign is updated to the latest version of CC 2015 before installing our plugins. The last week we got many reports that Script Bay stopped working. Apparently, something went wrong with the signature used many years ago. Most likely, it was a self-signed signature which expired and at the time, there was not an option to use a time stamp to keep the signature valid once it expired. 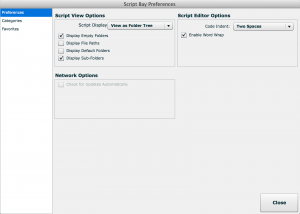 On a personal note, it was very encouraging to hear that so many people cared that Script Bay stopped working. I don’t get much feedback, and it’s good to know it’s appreciated. 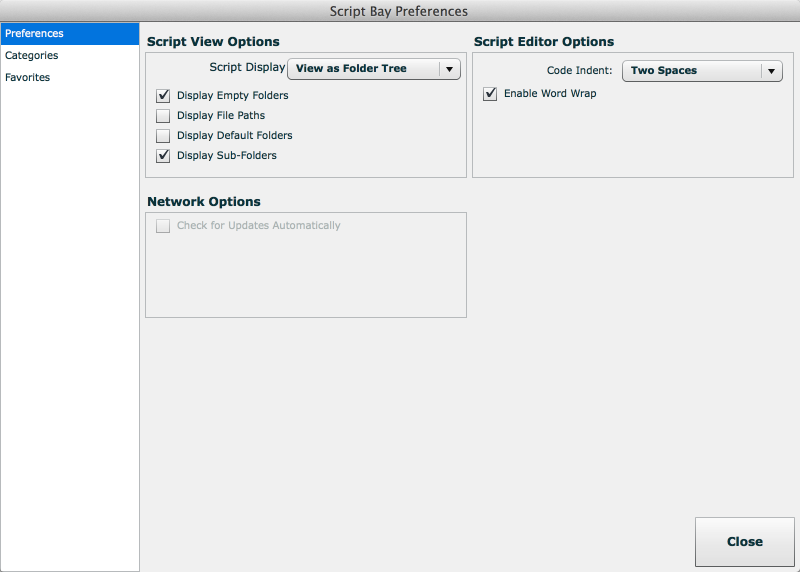 So, for now, enjoy the new version of Script Bay. You can get it here. I did not have time to do a lot of QA on this, so please leave a comment if I broke something. We’re happy to announce that our plugins are now available for InDesign CC. The CC update was a little more difficult than planned. We needed to wait until a critical bug was fixed in InDesign. Before installing the CC version of any of our plugins, make sure you install the InDesign CC update released on January 12 2014. We don’t yet know what our upgrade plan will be moving forward with CC. How we handle it will probably depend on Adobe’s policy going forward in terms of versioning and user feedback. We’re not sure if users want subscriptions to match CC subscriptions, yearly upgrade fees, linking to specific computers, etc. It would be wonderful if we could just give lifetime licenses, but the sad facts are that without revenue from upgrades, it does not pay to sell plugins. If you have opinions on how we should handle future upgrades, please leave a comment. No matter how things play out in the future, CC licenses will definitely work until either Adobe changes the InDesign serial number (we don’t know if that will happen or not), or you migrate to a new computer. We will also allow license transfers to a different computer for at least one year from the purchase date.